In case you are planning a trip to West Bengal in future, do include in your travel itinerary – a trip to the “Mangrove Zoo”. According to official sources, the world’s first mangrove zoo, a dedicated facility accommodating the fauna of the Sundarbans, is to open in Jharkali, South 24- Parganas district West Bengal soon. Jharkali is one of the access points of the Sundarbans. About 100 acres of mangrove vegetation has been earmarked as the location for this unique zoo. “The facility will be located in Jharkhali and will be the first zoo in the world to hold mangrove fauna,” said BR Sharma, member-secretary of the West Bengal Zoo Authority. Animals found in the mangrove ecosystem such as the Royal Bengal tiger, spotted deer and wild boar, salt-water crocodiles, fishing cats, and otters – a living species of semi-aquatic mammals, would be housed at the zoo. The hub will recreate the mangrove ecosystem to permit a conducive environment for the animals. It is also to be a centre for the rescue, rehabilitation and protection of those species that thrive exclusively in mangrove habitats. “Work will start soon on the project. At this point we can’t give a specific date. All the resources, including involvement of experts for the zoo will be through the West Bengal Zoo authority,” said Sharma, who conceptualized the project. ”Necessary permits from the Central Zoo Authority have been obtained and the state government has already issued an order to transfer 100-acres of land, “according to Sharma. The East coast of India is represented by 48 species of mangroves. The Sunderbans mangrove forest, one of the largest such forests in the world (140,000 ha); lies on the delta of the Ganges, Brahmaputra and Meghna rivers on the Bay of Bengal. 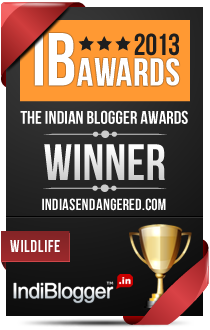 India’s Sunderbans was declared a World Heritage site in 1987 by UNESCO. The site is intersected by a complex network of tidal waterways, mudflats and small islands of salt-tolerant mangrove forests, and presents an excellent example of ongoing ecological processes. Mangroves are ideally suited to protect the river bed from erosion. They serve as barriers to coastal storms, conserve the soil, support sustainable fisheries, provide medical products and fuel wood and fodder, are habitats of wide range of flora and fauna, and act as nature’s ecological security system in coastal estuaries. The area is known for its wide range of fauna, including 260 bird species, the Bengal tiger and other threatened species such as the estuarine crocodile and the Indian python. 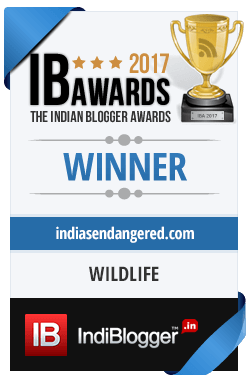 “Sunderban” literally means “beautiful jungle or forest” in Bengali language. The name Sunderbans may also have been derived from the Sundari trees that are omnipresent in Sunderbans. This one-of-a-kind zoo will help create more awareness about the mangroves and thus also help conserve this unique floating forest. Wow, really? I hope they set up the mangrove zoo sooner. I bet it would be one of the greatest attraction of West Bengal for holidaymakers and animal lovers like me. Thanks for such useful information Ramya, I’ll stick around for some more happening news like this! Glad you liked the information on the mangrove zoo. Hopefully it will help in saving some of the endemic mangrove species of the region. It is a great news. I would like to know more about it.